· Clean all fishing equipment between trips. · Do not move fish or fish parts from one body of water to another. · Handle bass gently if you intend to release them. 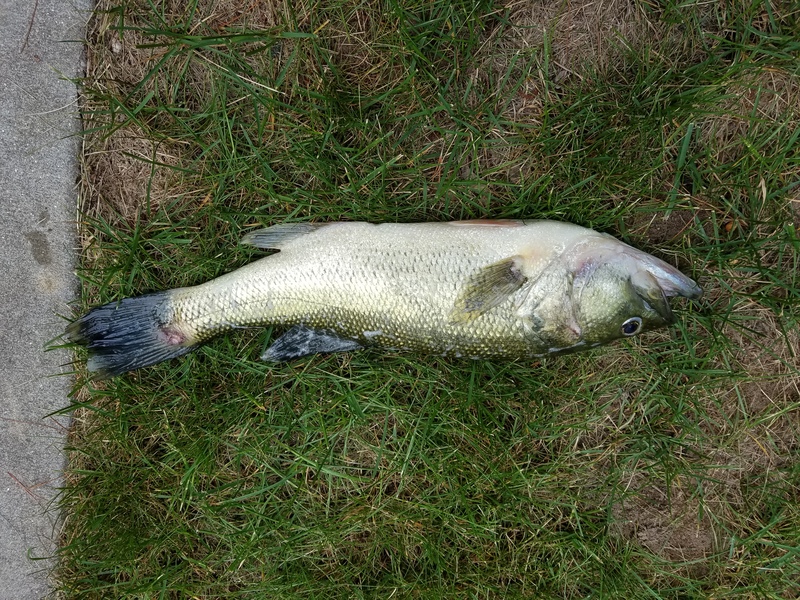 · Don't keep bass in live wells for long periods of time if you plan to release them. · Report dead or dying adult largemouth bass, particularly when they’re in numbers of 25 or more – reports can be made online at michigan.gov/eyesinthefield. For more information on fish diseases, visit the DNR’s website. 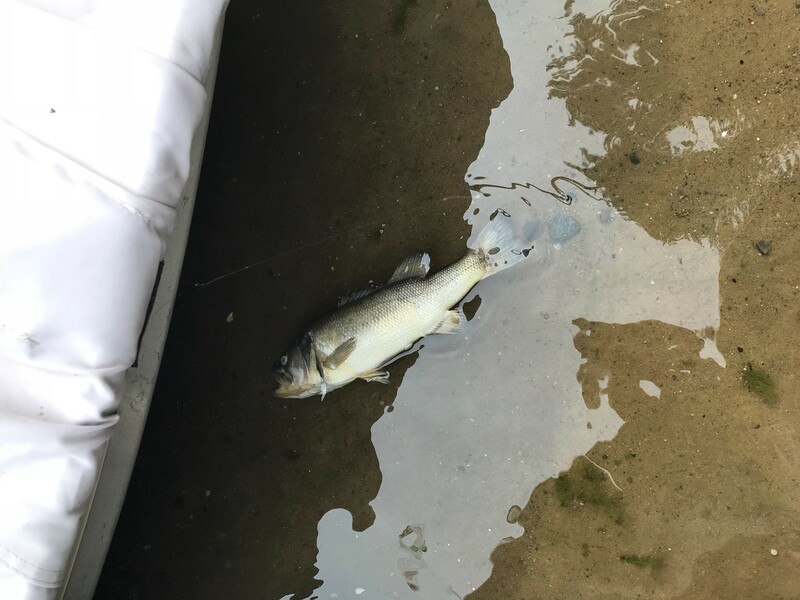 201808017_141713.jpg: A largemouth bass, infected with largemouth bass virus, found floating in Cedar Lake in Iosco County, Michigan. LMB at Cedar Lake.jpg: Largemouth bass virus affects the fish's swim bladder, making it difficult for them to swim correctly.